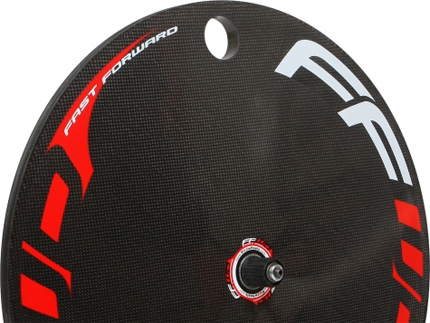 Fast Forward full carbon rear tubular disc wheels feature their high quality hubs and offer the very best in aerodynamics and lateral rigidity. They are ideal for TT events or Triathlon competitions where every second counts. This rear Disc wheel offers the best in aerodynamics and lateral rigidity and are ideal for Triathlon and Time Trials events. They are available in two colours and feature a full carbon disc, alloy hub and a carbon braking surface.